Philly Real Estate and a Walk-In Closet…. ….A match made in heaven! There is one condo development here is town that many of my buyers find quizzical: The good sized two bedroom condo units do not have walk-in closets. 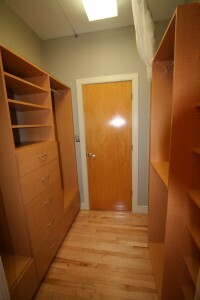 Only the medium sized one bedroom condo units in the building have a walk-in closet. Odd, they say- and I can’t disagree. Dockside in Philadelphia offers two healthy sized walk-in closets in their two bedroom condo units. I thought I was going to have a heart attack when I saw that generosity.